Jason DeYoung is the owner/operator of DeYoung Brothers Construction. He began the company back in 2002. He resides in Douglas County with his wife and 4 kids. 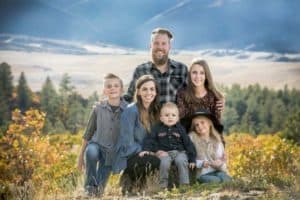 Jason is deeply vested in the community and has earned the reputation of being a honest, caring and quality craftsman that stands behind each of his projects. DeYoung Brothers Construction is a small company with low overhead, so you will see Jason on your projects because he manages all of his jobs. It is the company’s goal to help you achieve the results you desire for your project. DeYoung Brothers Construction knows that any home project can be an large investment and for that reason we work closely with you to understand your ideas and expectations. We will consult with you and get to know your project goals, develop a plan of action and a project timeline to so ensure the project goes smoothly from start to finish. We credit much of our success to the loyal relationships we have cultivated with our subcontractors. We work with only the most qualified and trustworthy craftsmen on each project, resulting in consistently excellent work. Whatever your home project needs, we are happy to listen to your vision and help you create the enviornment that you dream of. For more information about our company please contact us by phone at (303)829-3374 or by email.